The first thing that was said to me as I picked up my fork was that I would need slug and snail pellets. I want to be an environmentally friendly gardener so set about on some research on how to repel the garden vampire naturally. Vampire? 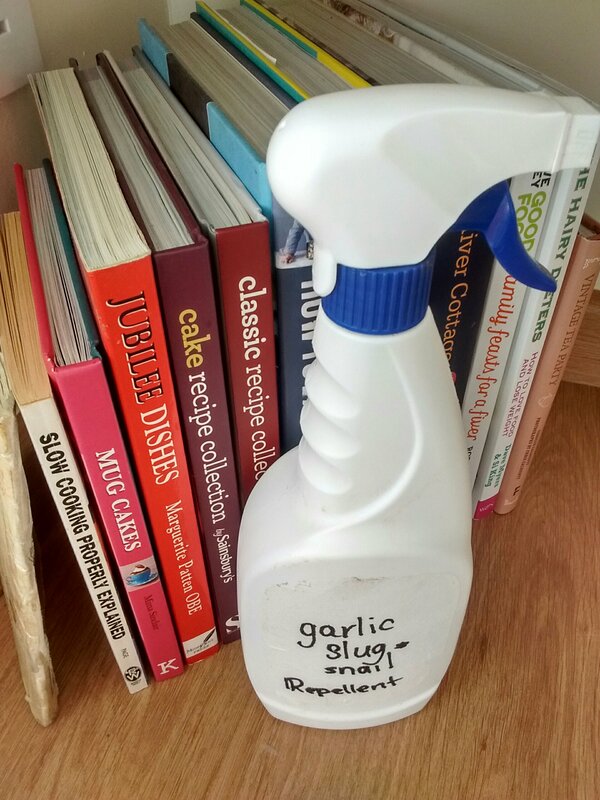 Slugs and snails have a vampire-like aversion to garlic, according to centuries-old gardening folklore. Scientists have shown that the creatures are repelled by the pungent odour of garlic and will shrivel up and die within hours of exposure to it’s oil. I’m a sucker for centuries-old folklore. 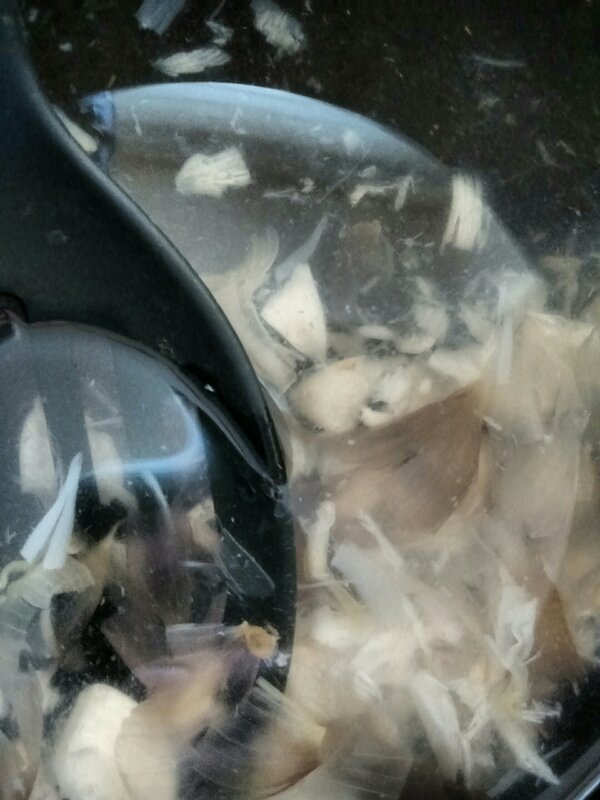 In an old pot – now the ‘everything garden’ pot – I boiled half a dozen garlic cloves, cooled, seived and poured, with a little more dilution, into an old spray bottle. I’m optimistically hopeful that this will be a self sustaining member of my environmentally friendly slug and snail repelling armour. I have found this to be great to use, and have mixed many such sprays myself.. Last year I made some forgot about it and left it in the green house within a spay bottle like in your image.. When my roses started to form new shoots I discovered them covered in greenfly.. I spotted the solution of garlic,, And used.. Oh boy was it potent . 🙂 but it worked a treat.. no more greenfly and they never returned.. Thanks for this. I am doubtful that it will work on the open beds but if I can gain control in the greenhouse I will be a very happy lady.